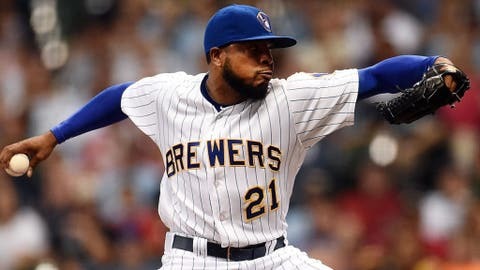 Milwaukee relief pitcher Jeremy Jeffress has been named as a late addition to the MLB All-Star game. The Brewers now have a franchise-record five All-Stars. Jeffress enters the Brewers’ final series before the break with a 0.99 ERA and 0.84 WHIP in 44 appearances. MLB chooses replacements for pitchers who are injured or opt not to participate. Jeffress replaces Nationals closer Sean Doolittle, who is on the disabled list. Jeffress joins his teammates Lorenzo Cain, Christian Yelich, Josh Hader and Jesus Aguilar in the game.